Choose any of the following table attributes -1. 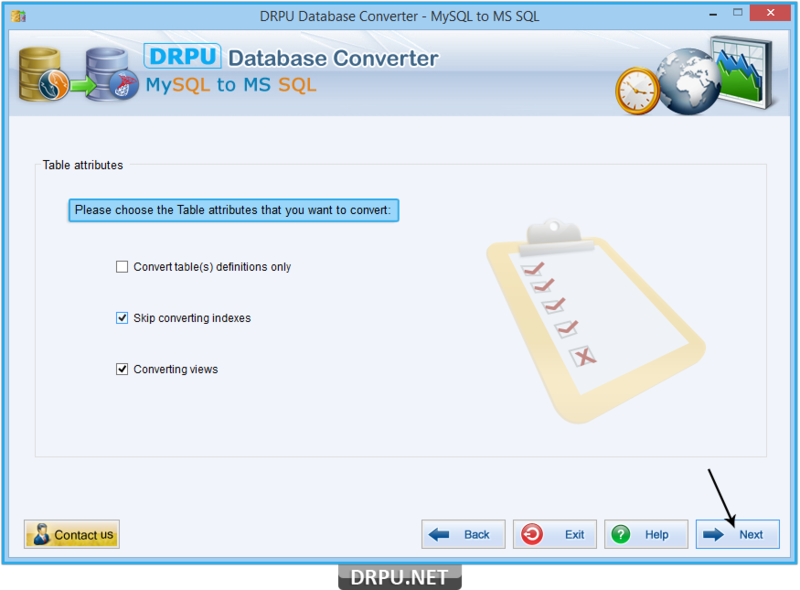 Convert table(s) definitions only, 2. Skip Converting indexes, and 3. Converting views, then press “Next” button. 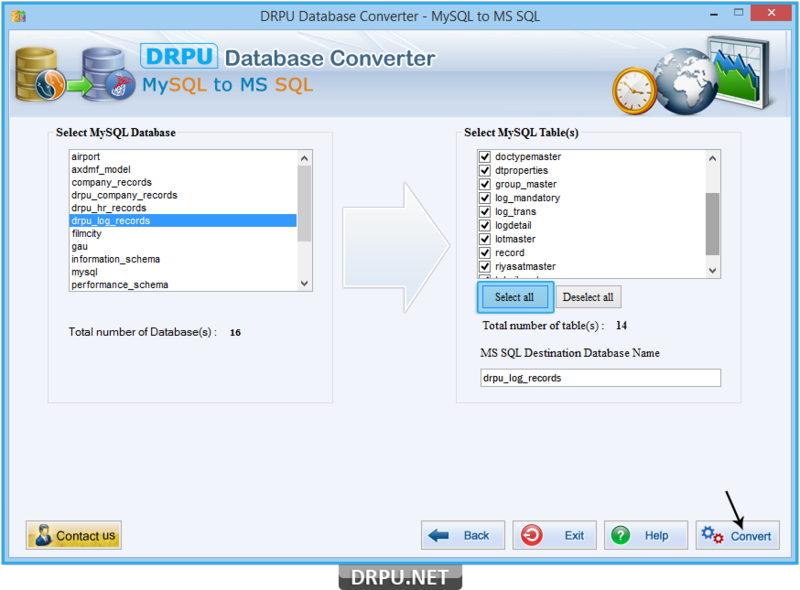 Select MySQL database and choose MySQL table(s) that you want to convert and then click the ”Convert” button to start database conversion process. 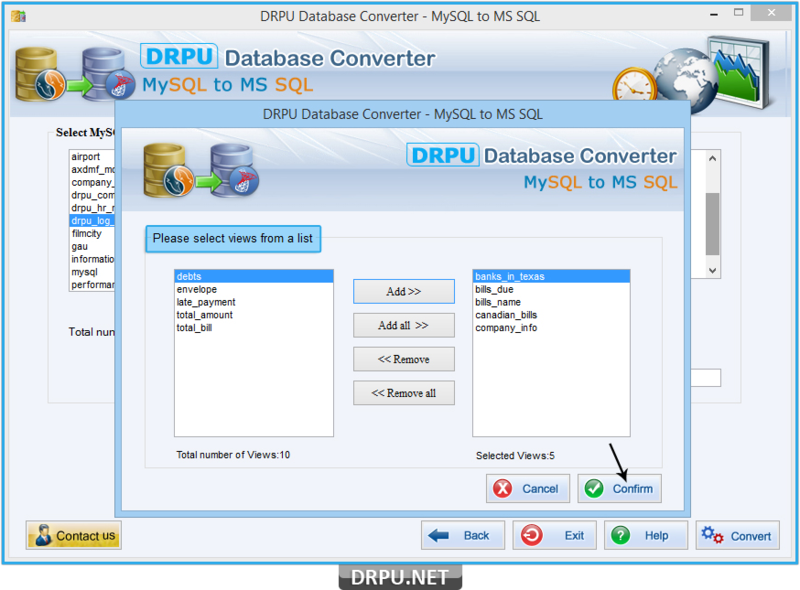 If you want to add views, select and add views from list then press “Confirm” button to continue. 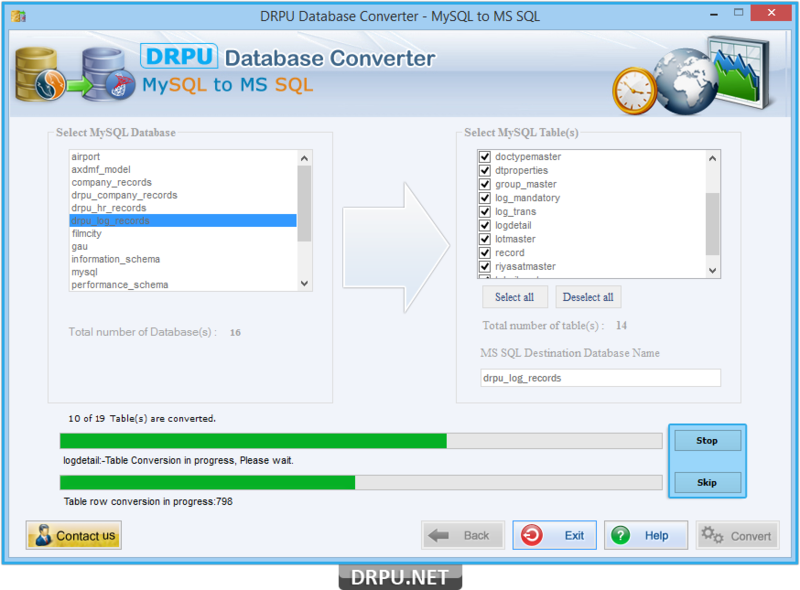 Database conversion process is in running mode, click “Stop” button to abort ongoing process and if you want to skip any particular table, press “Skip” button. 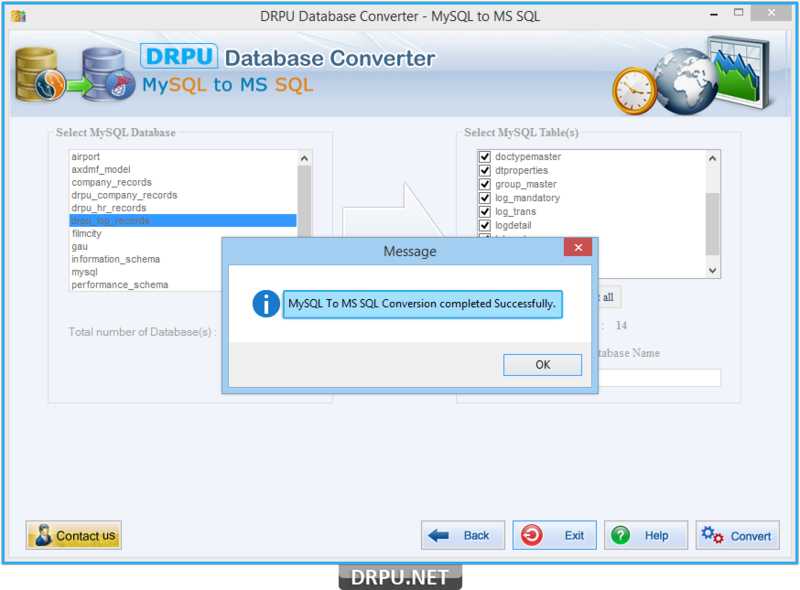 After completing conversion process, the message displays, shown in above screen.